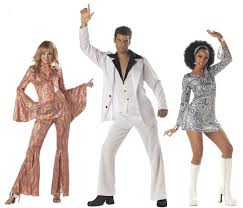 Tomorrow six of us are heading for the Theatre Royal in Bath to see the stage version of Saturday Night Fever. I saw the movie in 1977 when snake hipped John Travolta was one of the new rising stars in Hollywood. It was a good time for the Brothers Gibb as well. With the score to SNF they not only recharged the disco scene but also re-launched their careers. The movie brought back all sorts of memories of that year. It was the Queen’s Silver Jubilee and she was due to launch a new ship at Barrow in Furness. HMS Invincible was the first of three modern replacements for the soon to be mothballed air craft carriers in the British fleet. The then man in my life was a very junior member of the design team and we got to go to the launch. That was the year he also bought his first boat. It was kept in a small yard at a place called Shell Bay next to Studland on the Dorset coast. The guy who owned the yard was a grizzled old ex-mariner who told us the boat would be quite safe with him because he had what he referred to as the ultimate deterrent against burglars. ‘I hit ’em with a piece of four by two and ask questions afterwards.’ he told us with a grin. I loved the whole boating thing – getting out on the sea gives you so much freedom and we had some fabulous weekends and days out with friends. Yes those were great days. Of course it wasn’t all ‘plain sailing’ if you excuse the pun. My man was a bit like an enthusiastic Labrador; someone with a great sense of adventure and precious little common sense On one of our first trips out we managed to get stuck on a sandbank. Over the side he goes, sure he can remedy the situation with the simple application of muscle – and sinks up to his knees in the sand. He managed to get enough leverage to move the boat clear but then found he couldn’t move. Thankfully we had a couple of friends with us – I’m not sure what I would have been able to do on my own. Anyway we managed to tie a rope around him and use the boat to pull him free losing him his footwear in the process. I remember he was always very cautious out on the water after that. I was not aware that famous white suit started any fashion trends in our small provincial town. 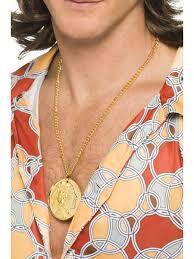 If anything the Bee Gees had more impact as many guys copied that open shirted medallion look. I cringe now when I think of it, it’s totally awful and brought the phrase ‘medallion man’ into the English language. Thankfully the only time I ever came into contact with anyone wearing this was at fancy dress parties, where the occasional white suit and black shirt would also put in an appearance. The seventies were big party times for us and invitations to bring a bottle came quite regularly. Most get togethers were standard parties with food drink and loud music but I particularly loved fancy dress. I was amazed at the work which went into costumes – of course everyone made their own, it was unthinkable to hire, that was seen as cheating! From bishops to Batman, concubines to crusaders, they were all there – an amazing array of innovative designs and ideas. There were other themed get togethers too, like wild west, flower power or vicars and tarts parties and although I never attended one of the latter I’m reliably informed one or two of the more outrageous guys occasionally came in basques and stockings – a sort of early Rocky Horror Show vibe. A few weeks ago I went with my husband to a Buddy Holly tribute evening featuring Marc Robinson, who is the leading BH tribute artist in the UK. Now Buddy Holly was way before our time but my OH considers him the man who laid the foundations for rock music. I have to admit even though I wasn’t a great fan I did enjoy the evening; great entertainment, a huge age range in the audience and loads of people up and dancing. I had no idea Buddy Holly had been such a prolific songwriter or that he had written for so many other artists – so an educational outing as well. The Bee Gees, of course, have also written an enormous number of songs over the years both for themselves and other famous performers. The score for Saturday Night Fever was pure dance music and I remember magazines featuring a ‘how to do’ on some of John Travolta’s moves. The mass dance routine, which must have been an early template for line dancing was referred to in one magazine as the Brooklyn Bus Stop and it seemed to catch on at dances. In fact I went to one later that year where the DJ had everyone on the floor in rows dancing to ‘Night Fever’ just like in the movie. Today I guess the modern day equivalent is Lil Jon’s Bend Ova – although thinking about it…maybe not! So think of me tomorrow night when I’m sitting in the audience taking myself back to my misspent youth, I’m sure I’ll have a blast!